Zenefits provides an all-in-one HR and payroll solution at a reasonable price point of $5 to $14 per employee. You can onboard employees, keep track of benefits enrollment, manage time off requests, and do payroll in compliance with tax laws. However, it’s not the only game in town. In this article, we look at 6 Zenefits competitors that provide a similar set of combined HR, benefits, and payroll features. Some providers offer additional services, such as performance management, employee scheduling, and professional employer organization services (PEO). Read on to learn whether these Zenefits alternatives are right for your business. Please note that in September 2017, Zenefits announced that it will no longer provide broker/health insurance services directly. However, they will be aligning with certified broker partners to provide benefits and will continue to provide core HR services and payroll. Gusto Businesses with more than 20 employees that want HR & payroll will potentially get better pricing from Gusto. Justworks Businesses in any state that want payroll and a large network of benefit providers (Zenefits is only available in 29 states and Wash. DC). TriNet Businesses that want to offer affordable health insurance and have employees throughout the country will have more options with TriNet. APS Businesses that want an applicant tracking system and self-service support for the entire employee lifecycle. Zenefits doesn’t do applicant tracking and self-service functions are more limited. BenefitMall Businesses in compliance industries (banking, finance, insurance) or that want compliance training will get more specialized expertise with BenefitMall. BarazaHCM Businesses with fewer than 5 employees that want free HR software and don’t mind using a desktop tool (not cloud-based like Zenefits). Now let’s compare the features and benefits of each of these Zenefits competitors to see why their options may be better for your small business. Gusto is primarily known for being a payroll provider. You can process payroll in all 50 states using Gusto, whereas Zenefits only has payroll options for 29 states. Gusto is also a good alternative to Zenefits due to its customer service options — you can contact them by phone, email, or live chat, while Zenefits support is email only. Gusto is price competitive with Zenefits once you grow to about 20 employees. Gusto can provide you and your employees with full medical, dental and vision insurance in 17 US states. So, if you’re already using Gusto to run your payroll, adding HR and benefits is easy because your business and employee data are already in the system. And like Zenefits, Gusto is priced much less than other top payroll providers like ADP and Paychex as shown in our payroll comparison article. Gusto costs $39 per month plus $6 per user/per month for access to payroll, benefits, and other HR tools, making it cheaper than Zenefits. Zenefits charges $14 per person for access to payroll, benefits, and other HR tools in addition to a $40 monthly fee. Therefore, Gusto is price competitive with Zenefits, especially when Zenefits’ extra fees for time and attendance, and HSA start to add up. Gusto’s HR package is pretty basic, just like Zenefits. Once you set your employees up in the system with information like name, address, date of birth, hire date and job title, you can process payroll in all 50 states (whereas Zenefits is currently set up in only 29 states). Local taxes will be taken out properly. You can also take care of benefits enrollment and payroll deductions as part of the setup. The only drawback is that at the time this article was updated, Gusto only provided benefits in 17 states (Arizona, California, Colorado, Florida, Georgia, Illinois, Maryland, Massachusetts, Michigan, New Jersey, New York, Ohio, Oregon, Pennsylvania, Texas, Virginia and Washington). They are working to add more. 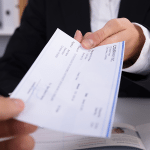 Gusto also tracks time off and employees can be paid via direct deposit, saving you the administrative nightmare of mailing or hand distributing paychecks. Gusto manages payments to contractors with no additional costs, whereas Zenefits charges for each vendor payment. Neither Zenefits nor Gusto offer applicant tracking or scheduling, although Gusto does have what they refer to as an onboarding feature, that allows new hire documents to be e-signed and stored online. For additional information, read our Gusto Review. Justworks is best for small businesses that want to offer health insurance nationwide. Justworks is a Professional Employer Organization (PEO) that provides health insurance benefits in addition to other HR services, such as payroll management. They pool your employees along with thousands of other small business employees, so you get ‘big company health insurance’ at a low rate. Zenefits also provides health insurance, but they aren’t a PEO, so they don’t have the power of numbers working in their favor. Pricewise, Justworks is similar to Zenefits when you have a dozen or more employees. But Justworks provides HR consulting services and a more robust employee self-service dashboard. To learn more, check out our article on Best PEOs for Small Business, where Justworks earns our top recommendation. Justworks pricing is based on the number of employees in your organization and runs from $49-$99 a month, with discounts if you pay annually. That makes it fairly competitive to Zenefits if you have more than a dozen employees. To get payroll with Zenefits, you’d pay $14 per employee and there are upcharges for several features which are standard with Justworks. In addition, as a PEO, Justworks’ benefit provider pricing is on par with larger employers, to help your small business offer employee benefits at a competitive rate. Justworks lets you manage employee and contractor HR data and run payroll like Zenefits. But in addition to that, you get consulting services to answer HR, benefits and payroll questions and help you find needed documents, ensuring you’re in compliance with state and federal regulations. Because Justworks is a PEO, employees can also view and update HR data, benefits options and tax filing via the self-service employee dashboard. Using a PEO like Justworks instead of a software vendor like Zenefits lets your employees get their questions answered by HR expert advisors, saving you administrative time. For more information on Justworks, check out our Justworks User Review. Unlike Zenefits, which is an online software platform, TriNet is a full service PEO. Trinet is best for employers who want to get out of the HR administration game as much as possible for employee and contractor hiring, payroll, and benefits. In fact, we at Fit Small Business use TriNet to manage all our HR, benefits and payroll needs. By pooling us together with other small businesses, TriNet allows us to offer premier health insurance to our staff all over the country at a competitive price. The advantage that TriNet offers over Justworks is that they give access to localized health insurance, so wherever employees are located, they can access good quality health insurance. TriNet also provides total HR & payroll services and gives employees access to over 500 training courses, from computer skills and safety to workplace ethics. TriNet charges approximately $155 per employee per year and also charges a separate one-time setup fee. The implementation fee is $1000 to set up 1-4 employees and $2000 to set up 5-9 employees. Because of TriNet’s large network of benefit providers, you’ll now be able to offer benefits to your staff, increasing employee retention and saving money for both of you. While TriNet costs more than Zenefits on a per employee basis, TriNet provides HR consulting, 500+ employee training courses, and self-service, allowing your employees to get everything they need from benefits changes to year-end tax statements themselves, so you can focus on your core business. TriNet is a PEO, not just HR and payroll software like Zenefits, and you get HR consulting services that employees and managers can use free with the subscription. For more information check out our TriNet Product Review. Compared to Zenefits, which offers the basics, Automatic Payroll Systems (APS) is great for businesses that want to get a little more out of a Human Resources platform, including management of the entire employee lifecycle from recruitment and hiring, to employee scheduling, to time and attendance tracking. Zenefits either doesn’t offer these options or only offers them with an upcharge. And, it’s also good for businesses that would like an employee self service option. APS Payroll costs $40 per payroll with an additional $2 per item (such as an employee paycheck, vendor or garnishment payment) for 1-49 employees. It’s an additional $3 per employee to add time and attendance and an additional $5 per employee to add scheduling. When you sign up with APS, you’ll get an enhanced suite of HR solutions, from applicant tracking to employee self service. Both the core HR and payroll functions are self service meaning employees can look up their HR, benefits and payroll information online, and print their own tax forms saving you administrative time. And because it has time and attendance and scheduling options that integrate with payroll for a small additional cost, you’ll save a lot of time by not having to manually track these items on time cards, calendars, and spreadsheets. BenefitMall is best for companies that want to streamline their hiring process and have an all-in-one service provider. They started out focusing on banking, finance, and insurance (highly regulated industries) but now work with businesses in any industry. BenefitMall offers both an HRFocus (which covers the full employee life cycle) and a PayFocus package (which manages all payroll and tax compliance). They also provide a robust employee self-service option with more features than Zenefits, like a New Hire Wizard that walks you and your new hire through the onboarding and paperwork process and provides job descriptions, employee handbook, and org charts that allow the employee to see where they fit in the company. BenefitMall also has features which Zenefits doesn’t offer, like safety and compliance training and labor law posters. Pricing is by subscription based on the number of employees, and reviewers claim it is affordable for small business. We were able to get an example payroll quote for 50 employees for about $223/month for a bi-weekly payroll, but to be honest, BenefitMall will provide specific pricing only after speaking with the business owner or employee. Unlike Zenefits, BenefitMall is a PEO like TriNet and Justworks, and initially focused on regulated industries, like Banking, Brokers, and CPAs. However, their web-based software HR Focus, and Pay Focus, provides tax compliance, 401k, benefits enrollment, and attendance tracking for all employees. And they provide employee self service, similar to the other HR/payroll packages, saving you administrative time. BarazaHCM is for tech savvy businesses with fewer than 5 employees who want to use free HR software. In addition to all the basic HR and payroll functionality, it provides some talent management features such as talent profiles and performance evaluations. It also has employee-friendly features like employee loans and has enhanced reporting and decision making tools to allow you to see employee trends and spot issues early. This company is based in Kenya, Africa, but they provide HR and payroll software and tax compliance for US-based businesses. 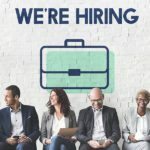 We could find no US-based employer reviews to verify how well it performs for US business clients, but included them in this article because 1) they’re free forever for companies with 5 or fewer employees, and 2) they’ve thought of everything from an HR perspective that a small business could want. BarazaHCM is free for up to 5 employees and is then priced at $20/month and up depending on the number of employees you have. Reviewers reported that although the system is advertised as free, it will not allow you to add more than 5 employees without paying for the additional users. As an open source, Java-based platform, BarazaHCM is installed via Windows, using JavaJRE and PostgreSQL. You can also install it to your preferred cloud-based provider such as Amazon WebServices or IBM Cloud. You can view an 11-minute installation video on YouTube. Once you install it, it’s user friendly, and because it’s open source, there are many other users willing to provide answers to process questions you have via the user blog. Our side-by-side comparisons above can help you decide whether Zenefits, now that they have added payroll to their platform, is the best option for your combined HR, benefits and payroll, or whether you’d be better off with a solution that provides you additional options, like applicant tracking, time and attendance, new hire onboarding, employee performance management, training courses, or the services of a PEO. And you may find that your needs change as your business grows — recognizing what was once a good value when you started your business, may no longer be your best option. As your company grows from 5 to 50 employees you may want to automate more of your HR, benefits and payroll administration, so that you can stay focused on your business, and get out of the hassle of managing employee data on spreadsheets.